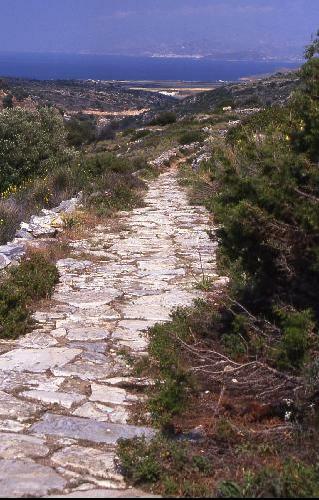 The kalderimi is lined with old marble and takes you down through the rural countryside of eastern Paros for 3-4 km. Naxos is clearly visible across the narrow sea strait. We walked the ancient road alone on this day.